When divvying out our local trout species, the trout Gods smiled upon on our corner of the fly fishing universe. Europe received brown trout, which aided by humans are found the world-over. Rainbow trout originated from the northern Pacific Ocean. Brook trout, though technically a char, migrated west from the eastern United States. Bull trout are a char, as well, so they don’t count. Only Westslope and Yellowstone cutthroat trout were “born and raised” here. And, hate to break it to the Westslope cutthroat trout lovers out there, but the Yellowstone cutthroat trout is the greatest trout in the world. The best way to truly appreciate a Yellowstone cutthroat is to catch and release one, but, here’s why they take the cake. Accessibility for beginners. Inhabiting many of the streams of Yellowstone National Park and the Yellowstone River, the Yellowstone cutthroat trout, can be targeted on foot or in a boat. The rivers and creeks of Yellowstone National Park can be fished with an inexpensive fishing permit, and the abundance of water near a road is surprising. The willingness of a cutthroat to eat dry flies off the surface tips the scales in their favor, as few things in fly fishing hook a new angler more than seeing a trout eat a dry fly. Challenge for experienced and adventurous anglers. 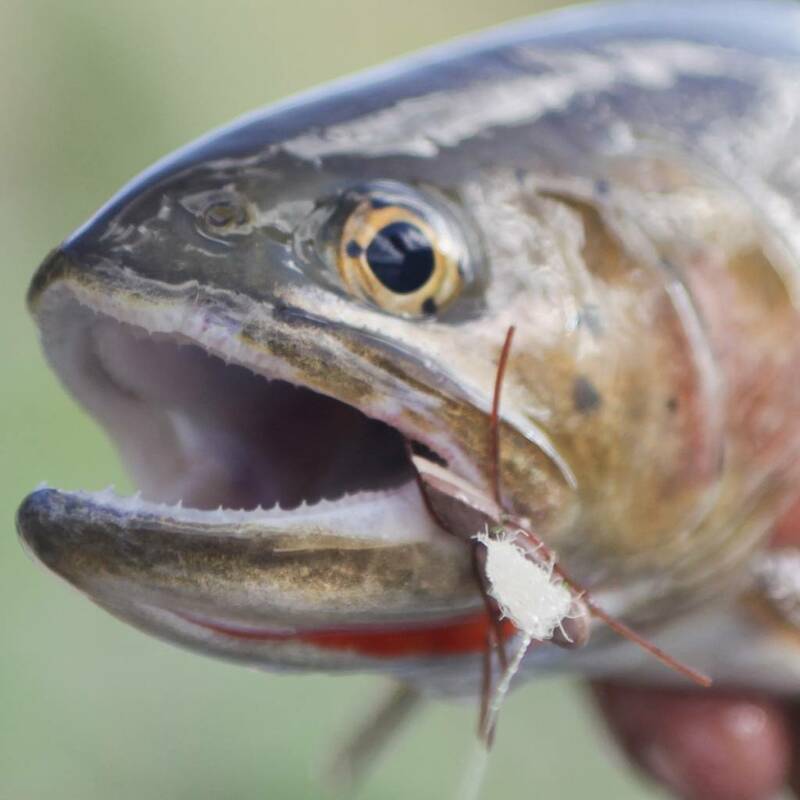 For some anglers, the Yellowstone cutthroat’s willingness to eat dry flies is mistook for dumbness. Any angler who has fished the lower or first meadows of Slough Creek might argue that. Light tippets and perfect presentations are necessary to catch the 18+inch fish inhabiting the crystal clear water. Additionally, if you want to find fish over twenty inches you’ll need to earn them with a hike into the Black Canyon of the Yellowstone or the far reaches of the Lamar, or invest in the right guide and time a Yellowstone float perfectly. These trout live in beautiful places. If a backdrop of Electric Peak, Paradise Valley, the pastoral setting of one of the spring creeks south of Livingston, or the splendor of fishing in Yellowstone National Park’s northeast corner doesn’t cause you to pause in awe, then you may never appreciate just how special these trout are to our rivers. Yellowstone cutthroat trout are a vital species. Not only are these fish important to the psyche, health, and general wellness to local anglers, several wildlife species depend on these fish as a food source. In early summer as fish move into smaller creeks and tributaries to spawn, grizzly bear, river otter, and even osprey prey on large spawning-size fish in shallow water. The fish are just downright gorgeous. As these fish grow in size, they often develop a unique golden hue. The namesake red slash under their gills is obvious and the buttery yellow color these fish take-on has no peer in any trout beauty contest. Big brown trout gloat the ego and blow-up Facebook posts, but it takes a special understanding of fly fishing to appreciate the subtle beauty of a fifteen inch Yellowstone cutthroat trout. Everyone loves an underdog. And these fish are just that. The most obvious challenge is the illegal introduction of lake trout into Yellowstone Lake. Lake trout are voracious predators, growing fast, and requiring many calories. Lake trout’s impact on Yellowstone cutthroat is obvious in the numbers of fish migrating out of Yellowstone Lake into the river north of Fishing Bridge. As a kid and into my college years, thousands of fish were observed. Today, numbers are in the triple digits. In other waters in the Yellowstone River drainage, these fish require high water quality. As demand for water increases and our climate changes, habitat for these fish is major concern. There are many ways to help, including joining your local chapter of Trout Unlimited, help the Yellowstone Park Foundation with their efforts to eradicate lake trout, and work locally to keep water in the Yellowstone River’s smaller tributaries. As a career fishing guide, I am often asked “what is your favorite fish to catch?” To remain focused on the task at hand, my first response is “the one that I am fishing to.” But, I’m not into any form of adultery, even when it comes to fish, and then I tell them why I love Yellowstone cutthroat trout. Pat Straub is the author of six books, including The Frugal Fly Fisher, Montana On The Fly, and Everything You Always Wanted to Know About Fly Fishing.